Does the employment of teachers and staff members in your district sometimes feel like a revolving door? What are the factors related to teacher turnover in your district and how school district superintendents and principals measure and influence those factors? In this podcast episode we discuss how to use exit surveys in school districts. We discuss factors every school leader and school district human resource director should consider as they try to manage teacher turnover. Listen to this episode and find out strategies to create more effective exit surveys in your school district. If you would like even more information about how to retain teachers and reduce teacher turnover, click on the button below and we will send you three research based articles on the topic of exit surveys from professional journals as well as a few sample questions we use when developing exit surveys for school districts. Confidentiality– Provide assurances that responses will be in confidence barring the revelation of unethical or illegal disclosures. Prove feedback matters– Use onboarding or induction processes as well as annual grassroots meetings to share how the school district has used employee feedback from school district climate surveys and exit surveys to help shape decisions and policy. Don’t wait until an employee is leaving the district to sell the benefit of providing reliable feedback. Sew the seeds early. Clearly state the objective of the exit survey– When employees open an email for an exit survey one of the first things they should read is the objective of the exit survey. Let departing employees know what information the district will be collecting and how the information will be used to make needed changes. Survey remaining peers– Many districts have implemented the use of climate surveys but fail to ask questions about reasons why other employees are leaving. Departing teachers and staff members talk to their friends about their intentions and reasons for leaving. It’s a good idea to measure opinions of existing teachers as they relate to factors affecting turnover and compare them to responses from departing employees. Standardize the format of the exit survey- The use of surveys provides a far more standardized process compared to exit interviews. Consider using broad categories and develop targeted questions within those categories with minor adjustment to ensure the validity of responses over time. Effective Design and Interpretations– If your school district’s exit surveys are given to departing employees but never really analyzed, what’s the point? Even worse, if school district exit surveys are not designed in a manner to provide valid and reliable results, it’s doomed from the start. Finally, and potentially even more dangerous, if school districts using exit surveys don’t follow sound methods to analyze responses prior to making decisions they may make factors related to teacher and staff turnover worse rather than better. Most districts make every effort and do all they can to hire quality teachers and staff members. Why wouldn’t they want to identify root causes that affect the departure of those same quality hires. Exit surveys, when developed and used correctly, can be a great tool to improving employer/employee relationships and overall satisfaction with employment in the school district. 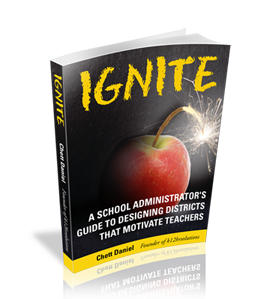 Need help creating and analyzing factors that are causing turnover in your district? Click the button below to receive three free research based articles as well as a few sample questions we use when developing exit surveys for school districts.